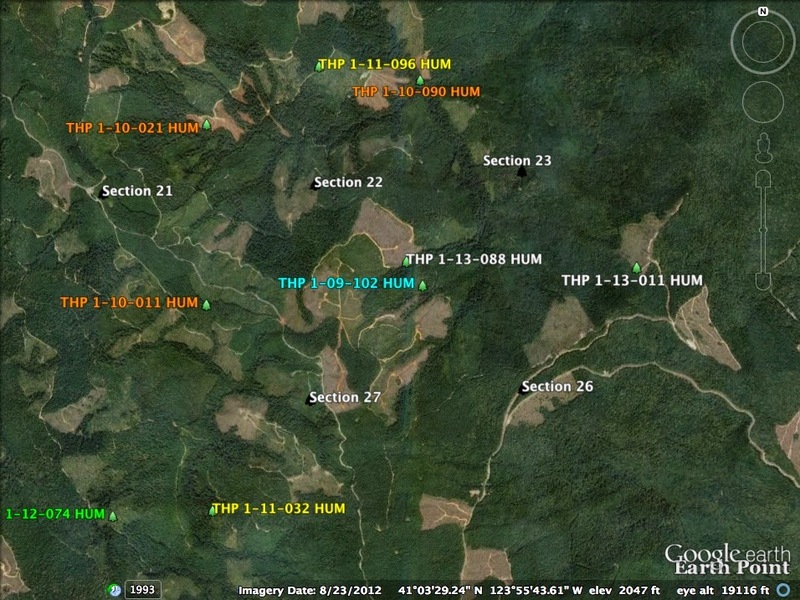 THPBlog: Green Diamond Resource Company to clearcut log near Redwood National Park. Green Diamond Resource Company to clearcut log near Redwood National Park. 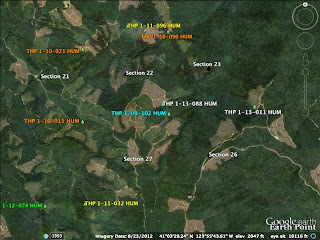 THP 1-13-088 HUM (CR 2018 14 THP) Green Diamond Resource Company, 106 acres; 80% clearcut, 15% selection, 4% no-harvest logging. Panther Creek (HUM: T8N R2E Sec.21, 22, 23, 26, 27). Winter operations, high erosion hazard, steep slopes up to 70%, impaired 303.d watershed, herbicides, coho watershed, 7 spotted owls within 1.3mi, trees up to 60" dbh. Estimated public comment deadline: 11/07/13. This THP is about 11 miles east of Trinidad, CA and a few miles south of Redwood National Park in the Panther Creek Watershed. Green Diamond Resource Company owns over 90% of the Panther Creek Watershed, which has been heavily clearcut in the past. The THP area flows into Redwood Creek which is listed as impaired for sediment, and is an important coho, Chinook, steelhead and coastal cutthroat trout fishery. Green Diamond Resource Company is planning a feller buncher, shovel and cable logging operation in second growth Douglas fir, redwood and western hemlock forests. More information is available on the THP Tracking Center website.